My review copy: Review copy provided by author in return for an honest review. Eighteen-year-old Katie Allred is socially awkward and unpopular at school. The only child of parents who had her right out of high school, Katie is herself about to leave the nest, even though she hardly feels ready. Katie’s new after-school job at the Zimble Box Corporation draws her into the complex social strata of high school cliques and backstabbing friends in ways she never imagined. Katie soon discovers there’s something very strange about the “in” crowd at school---and about her employer, too. Shortly after starting her new job, the Contagion breaks out, plunging her town and the entire nation into chaos as zombie shadow forces come out into the open, ravaging the streets. Katie goes into hiding and her parents disappear, along with almost everyone else she knows. But Katie soon discovers she has special powers that help her survive. She’s a Beacon, someone with the innate ability to help zombies produce children. It’s a power her employer — and what little remains of the U.S. government — both want to exploit for their own ends. Not only that, it runs in her family---which has a secret past Katie never knew about until now. Enter Agent Morehouse of the FBI Special Zombie Control Unit. A reformed zombie working undercover, he suppresses his urge to eat human flesh in order to serve and save humanity. But Agent Morehouse can’t help but be attracted to a Beacon like Katie, and she to him. 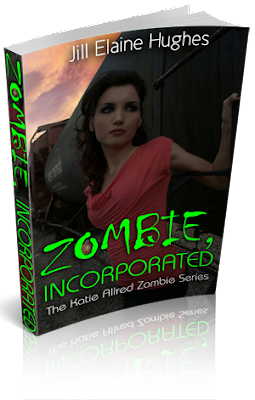 Even as they fight zombies the world over, they must fight their intense attraction to each other, hoping to keep Katie from suffering Agent Morehouse’s terrible zombie fate. She'd had me so young that she often tried to pass herself off as my older sister in public. Subtlety has never been my mom's strong suit. Neither has parenting. She's always treated me like a financial obligation than a daughter. I guess that's what happens when you get married and pregnant right out of high school like she did. She'd never get the Mother of the Year award. But I'd never get the Daughter of the Year award, either. Between the two of us, we pretty much cancelled each other out. Mr. Zimble was a midget. Or rather, a little person. I think I read somewhere that little people find the term "midget" offensive or something. Do you like cartoons a lot or something? What's with all the toys? You seem a little old to be playing with toys. And truth be told, I still felt like a kid. It was spring semester of my senior year, I really should have been concentrating on going to prom, graduation parties, maybe touring college campuses. But none of that was an option for me. I liked this book. Did I love it? No, but I definitely think that there is potential to this story. For starters, this was the first zombie book that I have personally read. And for it being the first one I've ever read, not bad. I thoroughly enjoyed it. And I will continue the series and I am hoping that the series grows as the writer grows into a more seasoned and polished writer. I look forward to reading more about the characters. Now, what I really enjoyed about this book was the way Jill created these zombies. When I first picked this up, I was thinking of the zombies we see in the movies. You know the ones I'm talking about. The ones where they walk creepishly slow with their hands out in front of them and their skin is kind of melting off and there are exposed bones and muscles. Yea, those zombies. The ones you definitely would not be fooled by if they walked among us. Well, guess what, those are not the zombies within this story. Jill took the Twilight concept. Instead of these creepy and scary zombies, her zombies walk and live among the humans. I very much enjoyed this rendition of zombies because, honestly, I think it's creepier knowing that zombies exist and can live amongst us without us knowing that they are zombies. I really enjoyed getting to know the characters and their little features. Mr. Zimble is definitely little indeed, but I enjoyed his presence within the book. Katie's mom... she's all right, I guess. Definitely not the kind of mother I want or want to be but she's not the worst of the mothers that are out there in the world. I definitely connected very well to Katie and I was able to see the world through her eyes and step into her shoes. Now, just because I only gave this book a 3-star review does not mean that I won't be picking up the sequel (if there is one) because I did enjoy this book and I think that the sequel can only get better. I'd love to dive back into this world that Jill has created and continue on with Katie's story.